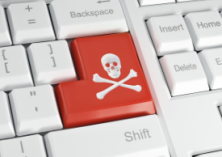 Japan’s government has decided to not to proceed with its controversial anti-piracy law. The proposals would have rendered the downloading of all copyrighted content illegal while criminalizing offenders with jail sentences of up to two years. The reforms will now go back to the drawing board. Distribution and uploading of copyrighted content without an appropriate license is illegal in most countries of the world. It is seen as the most damaging form of infringement, largely on the basis that this fuels illicit downloading. Straightforward downloading of movies, TV shows and other unlicensed content is rarely, if ever, policed, even when such activity is proscribed under law, as is the case in the EU following rulings from the European Court of Justice. In Japan, however, new legislation under consideration by the government would’ve taken things to a whole new level. Criminalizing the unlicensed downloading of all content – including the pasting of lyrics or taking of screenshots – struck fear into Internet users and experts alike. With serious punishments under consideration (up to two years in prison and fines of two million yen – US$18,000), serious alarm bells were sounded, with academics coming out strongly in opposition. Now, however, the government has become sufficiently unsettled and has shelved the proposals altogether. The planned copyright amendments were set to be submitted to the Diet on March 8, 2019 but Japan’s ruling Liberal Democratic Party (LDP or Jimintō) put the brakes on the proposals the day before they were due to be submitted. Early this morning the Japanese government took the decision not to submit the bill to the Diet at all, after executives failed to approve it. The proposals also contained measures to deal with ‘pirate’ indexing sites (known locally as “leech sites”) which don’t host any infringing content themselves but provide hyperlinks to content hosted elsewhere. Estimates suggest that around 200 such sites exist in Japan. The aim was to criminalize the act of knowingly linking to copyrighted content, or linking to the same when site operators should “reasonably be expected” to know that the content is infringing. Unlike the anti-downloading provisions, plans to criminalize site operators with sentences of up to five years in prison were met with little opposition. If approved, the revisions to Japan’s copyright law were set to take effect on January 1, 2020, but it’s now unclear whether that target will be met.